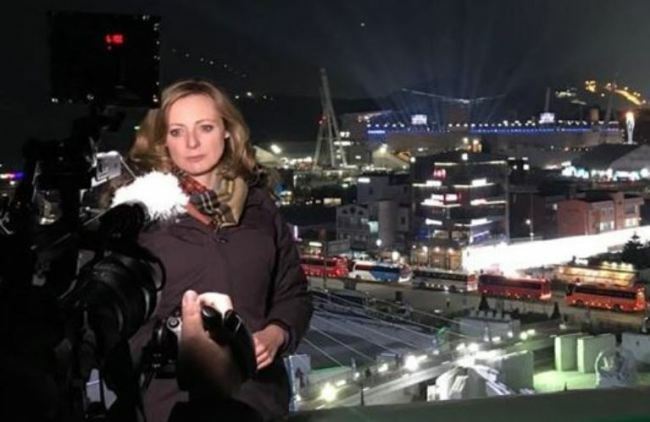 BBC’s Seoul correspondent Laura Bicker expressed her disappointment after learning that some Korean media outlets had misinterpreted her article published on March 10 by insinuating that she had called President Moon Jae-in a communist. Some conservative media outlets here had portrayed Bicker’s article as supporting their view of President Moon as a malevolent communist. But the article, titled “Trump and North Korea talks: The political gamble of the 21st Century,” simply described the sharp differences of opinion South Koreans had about their president. 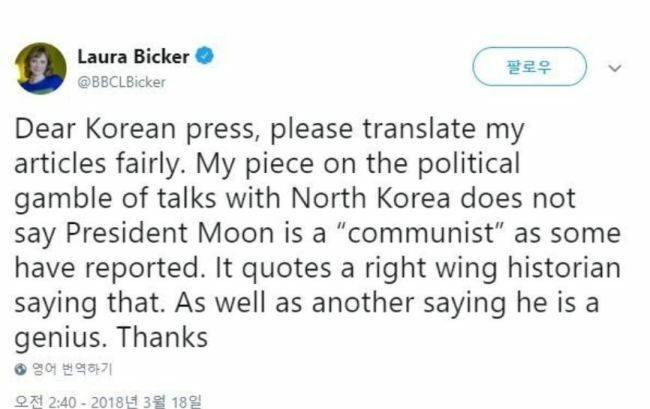 Bicker added that the description of a “communist” came from a right-wing historian in Korea, while the “diplomatic genius” was quoted by a left-wing citizen. She also posted a Facebook video, in which she talked about the existence of extreme political views in South Korea. Bicker’s Twitter post was shared over 1,000 times and has garnered considerable attention.